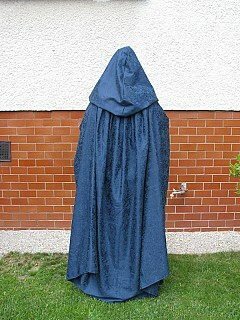 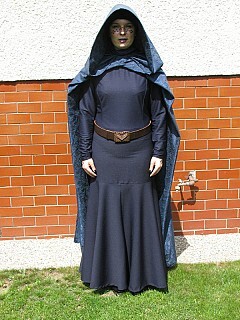 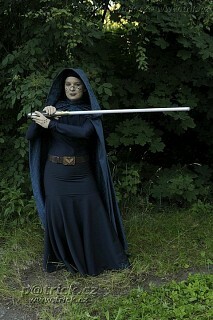 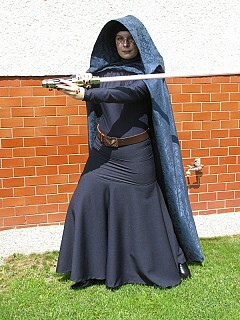 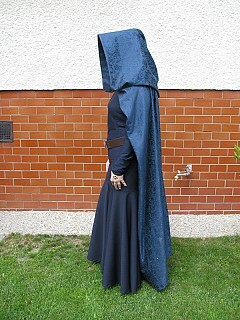 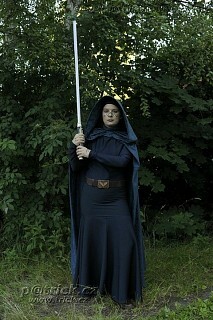 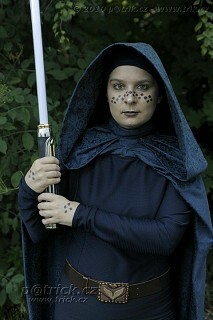 Costume of Jedi Knight from Star Wars, Barriss Offee. 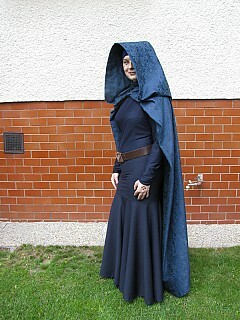 Made by my mother, with my assistance. 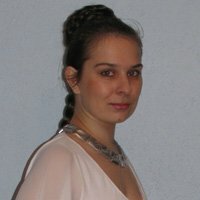 Belt buckle made by my father.